Phytoplankton are tiny in size but giant in impact. The diverse group of organisms live in a variety of watery habitats, and play important roles in the aquatic food web and oxygen generation. Learning more about the different types of phytoplankton can help you understand how some of the smallest sea creatures can make such a big difference to our planet’s ecosystem. Phytoplankton are the single-celled organisms that play an important role in the aquatic food web, and different types include green algae, cyanobacteria, coccolithophores and dinoflagellates. All different types of plankton live throughout Earth. The plankton definition is wide, including any organism that lives in a large body of water but can’t swim against the current. Many are microscopic, although some, like the deadly Portuguese man o’ war jellyfish, are large enough to be spotted with the naked eye. Plankton (which are often misspelled as plancton) are usually broken up into categories based on whether they’re animals, bacteria, fungi or plants. Some plankton examples include zooplankton, the animal variety, and mycoplankton, the fungi kind. The plant type of plankton is known as phytoplankton. 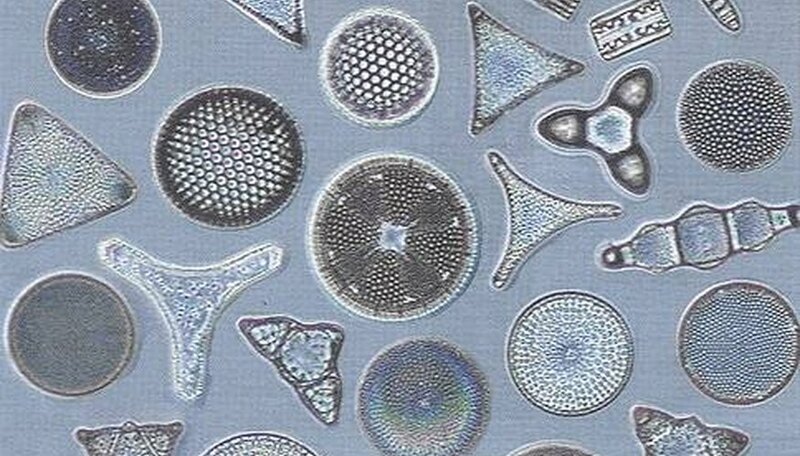 There are many types of phytoplankton, and they can take all kinds of shapes and sizes. Some, like green algae, are often visible to the naked eye, and might make a swim in your local lake a little less pleasant. Others, like the coccolithophore, require a microscope to be seen. Many people think the limestone-encrusted coccolithophore looks like a tiny hubcap. Another type is dinoflagellates. Their Latin name roughly translates to “whirling whips,” thanks to the two tails that stick out beneath their small but complex shells. They are responsible for some of the ocean’s bioluminescence. The one thing that most phytoplankton have in common is their important role in photosynthesis. While many people know that land-based plants like trees and flowers are part of the photosynthesis cycle, they don’t realize that phytoplankton, the tiny plants of the sea, are also a crucial part of converting the sun’s light into the chemical energy that powers life on Earth. For that reason, phytoplankton are normally found close to the surface of the water, where they are able to absorb the most light from the sun. It’s difficult to calculate exactly how much of the world’s oxygen phytoplankton help to create, but many scientists estimate that more than 50 percent of all the air we breathe is thanks, in part, to phytoplankton. In addition to helping to power life on Earth, phytoplankton play an important role in the aquatic food web. They are the main food source for all kinds of marine animals, from microscopic zooplankton to giant predators like whales. If phytoplankton levels were to decrease, underwater animals would face a serious food shortage. In this way, phytoplankton helps power all kinds of life on Earth. 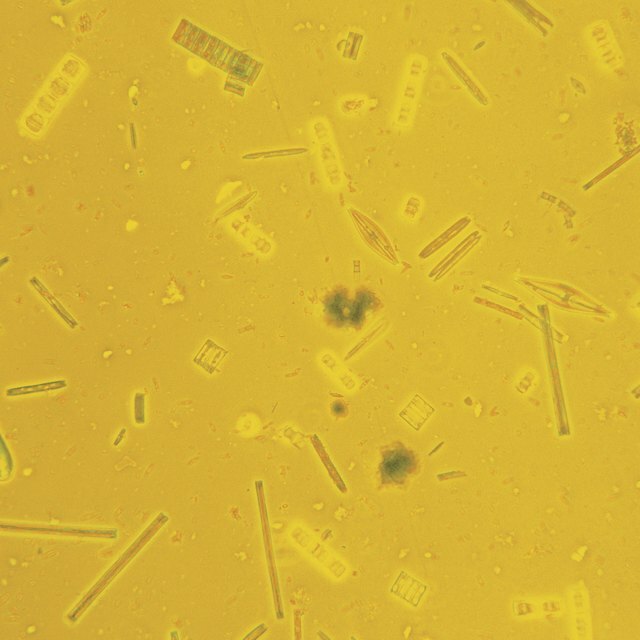 National Ocean Service: What Are Phytoplankton? Dragani, Rachelle. "What Are the Different Types of Phytoplankton?" Sciencing, https://sciencing.com/different-types-phytoplankton-5082252.html. 17 August 2018.